Have you been looking for a reasonably priced gutter company? At Minnesota Leafless Gutters, not only are you getting affordable prices, but you are also getting the best gutters around! 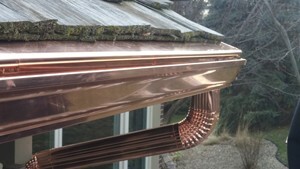 Looking for quality gutters at a reasonable price has never been easier! Minnesota Leafless Gutters Is Committed To You! If there’s one thing we pride ourselves on at Minnesota Leafless Gutters, it’s doing what is best for our customers. For us, that starts from the moment you call us and ask for our help. For over 17 years, we have been providing gutters for homes around the area. Our company has lasted so long because we believe in quality work at reasonable prices. Anytime you call us, feel free to speak with owner, Tim! He is extremely well known for his knowledge and experience in gutter systems and his willingness to do what is best for his customers. All of us here at Minnesota Leafless Gutters are committed to offering you the best solutions and product choices that are within your budget and fit your home’s needs. While we can answer questions and make suggestions for your home all day long, you may already have an idea in mind. At Minnesota Leafless Gutters, we offer gutter systems that are made to withstand Minnesota weather. Our three most utilized types of material include aluminum, steel and copper gutters. Each has pros and cons to them which can be explained by our professionals who can give you the best recommendations on which material is right for both your home and your pocket. All of the gutter systems that we offer here at Minnesota Leafless Gutters are known to last for many years. It is for this reason that we do not even offer vinyl. We want your gutters to last a rightful lifespan and if they don’t serve you well, it’s not worth the install! Quality installation on every job we do is probably what sets Minnesota Leafless Gutters apart from the rest. Our professionals are skilled and knowledgeable at getting the job done right, the first time. We are so confident in our work and our materials that we offer a lifetime transferable warranty for all of our labor and materials. Quality work, quality prices, and a quality result. What more could you ask for? Ready to learn more about our reasonably priced gutter company? For more information, give Minnesota Leafless Gutters a call today at 612-221-0362.